With an interest in teaching and in the ways in which children and adults acquire language, future educators might find an interest in determining how to become a reading specialist. To get started, an individual interested in pursuing a career as a reading specialist will find the right degree program to match up to individual skills, interest, and goals. Future educators interested in pursuing a career as a reading specialist will most often start with a bachelor’s degree in education, focusing on reading. Courses include developmental reading, reading in the content areas for grades K-12, children’s literature, young adult literature, assessment and evaluation of reading development, multicultural literacy, and teaching English as a second language. The undergraduate degree in the reading discipline helps to prepare graduates to work in classrooms and intervention programs as reading specialists. The skills and knowledge focused on include developing an understanding of the various factors that affect language acquisition from environmental and social environments to developmental delays. Additional coursework focuses on using materials to support literacy and methods for delivering effective language and reading techniques to a variety of students. Although not always a requirement, many school districts and even state licensing boards require for reading specialists to hold a master’s level degree in reading and literacy. Courses in the graduate program for reading and literacy often include directing the reading program, supporting literacy, reading difficulties practicum, instructional techniques to assist students with reading difficulties, literacy research, and organization of literacy programming. Teaching writing, educational leadership, and remediation are also common courses found in many graduate level degree programs. In addition to advanced course work in reading instruction, graduate students also gain experience and knowledge in working with the planning and development of reading programs and curricula. 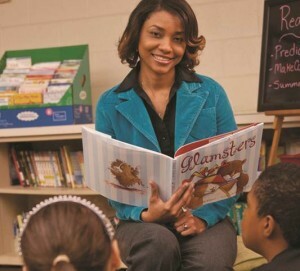 The reading specialist graduate degree also prepares students for the analysis and assessment of reading programs overall, as well as at the individual student level. In most states and for most types of school districts, any educator working in a classroom as a lead teacher or program specialist will be required to hold a valid teaching certificate. While the requirements vary largely by state, common qualifications include completion of a bachelor’s degree, successful completion of state testing in the reading subject area, and teaching experience. Teaching experience can be gained during a degree program through field work, classroom observation, and student teaching. Additional helpful practical experience includes opportunities to volunteer or work with community groups and organizations in mentoring and tutoring groups. Many libraries and school districts also welcome volunteers to help with reading programs. More information on preparing for a career as a reading specialist can be found at the International Reading Association website. Interest in teaching others how to read, comprehend ideas, and improve a variety of other reading-based skills is one of the keys in working toward completion of the steps needed to for a career in reading education. To become a reading specialist, a future educator will take that interest and passion for teacher to combine with the accumulation of the knowledge and skill to choose from a variety of rewarding reading specialist careers.